Plume Villas offer boutique luxury serviced accommodation where guests can relax and rejuvenate in a peaceful country setting. 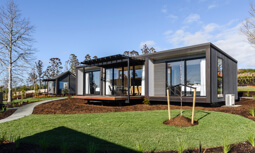 The 12 brand new villas range from one to three bedrooms, all equipped with king size beds and their own ensuite bathrooms; and are set in a beautifully landscaped environment. Guests have access to the cellar door, cuisine and conviviality on hand at Plume Restaurant, a relaxed stroll from their private and comfortable villa. With views of the surrounding countryside, Plume Restaurant seats up to 120 people across its indoor and outdoor areas, and smaller spaces allow more intimate gatherings, or a drink before your superb meal. Our large dedicated function room is ideal for weddings, parties, corporate events and seminars. 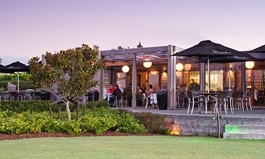 Plume Restaurant is the cellar door for Runner Duck Estate Vineyard, a 5-hectare boutique vineyard, and showcases their commitment to producing high quality, hand-tended, limited production wines. 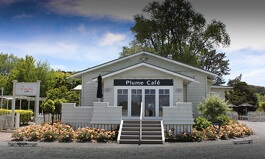 Right on the roundabout in Matakana within a beautifully restored bungalow surrounded by a delightful garden, Plume Cafe is a little taste of home. It’s a great place for breakfast before hitting the markets, shops and galleries. Or, if you've ventured further afield and you’re in need of refreshment, it's the perfect pit-stop for lunch or afternoon tea. Our very own bakery is here, producing fresh bread and sweet treats, to eat now or to savour later! 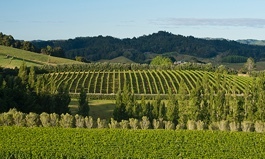 Runner Duck Estate Vineyard, a 5-hectare boutique vineyard under the same ownership as Plume Villas, Plume Restaurant and Plume Café, has a long standing commitment to producing high quality, hand-tended, limited production wines in a range of styles. There are robust reds, delicate whites and a cheeky Méthode Traditionnelle. Tastings are available in the dedicated cellar door section of Plume Restaurant and all of our available vintages are on the wine list!